Whether your resident forgot to pay rent, recently lost a job, or has broken community rules and has been unwilling to rectify the situation; you can receive an unlawful detainer and evict the resident from your property. Most residents facing eviction are being evicted due to non-payment of rent. However, you can also evict residents for violating the terms of their lease, creating a safety hazard, or other landlord disputes. Landlord/Tenant law can vary greatly between jurisdictions so it is important to consult with a lawyer for legal advice if you are obtaining an unlawful detainer against a resident. If you are evicting a resident for non-payment of rent, there is a strict process that you must follow. Notice to Pay Rent or Quit: The resident must first be served a notice to pay rent or quit which gives them a certain number of days to make payment. The number of days the resident has before payment must be received will vary by state. Some states are very specific regarding the information that must be provided on the notice, for this reason it is best to consult with a lawyer to verify that the form you use meets local and state law. 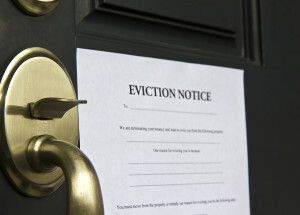 If you post the wrong information or omit information that must be included, the notice can be made invalid by the court which will cancel the eviction process. The method in which this form is delivered is also regulated by state. Some require delivery in person while other states only require the notice to be posted on the door at the property and mailed to their address. Unlawful Detainer: If the resident does not make payment within the number of days indicated on the notice, then you may file an unlawful detainer with the court. 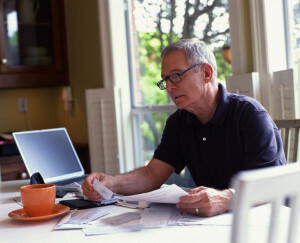 You must wait for the Notice to Pay Rent or Quit to expire before filing an unlawful detainer. Partial Payment: Some landlords choose to accept partial payment with promise from the resident that the rest of the funds will be paid by a set date and time. If you choose to take a partial payment, immediately post a new notice to pay rent or quit for the remaining balance of rent due. If you do not serve a new notice, the original notice is void when you accept any funds. By serving a new notice, you are protecting your ability to evict if the resident does not pay the remaining rent by the agreed upon date. Non-Payment for Needed Repairs: Some residents believe that they can legally withhold rent if there are requested repairs that have not been made on the home. This is not always the case, but sometimes funds can be withheld in an escrow account or within the court system if the repairs requested are to maintain the home in habitable conditions. Consult with an attorney to make sure that you are legally able to deny the work requests that are in question. If the attorney advises you that work is required, immediately post notice to the resident and repair any necessary items. If the resident still refuses to pay rent, continue with eviction proceedings. If you believe a resident is in violation of their lease agreement, it is best to double check their actual agreement. Sometimes lease agreements are altered over time and it is best to be sure of the violation and its validity to the resident in question before action is taken. If you find that a resident is in violation of their agreement, you can serve them a Notice to perform or quit. For example, the lease states that there are no pets allowed in the home. The resident acquired a pet without permission. 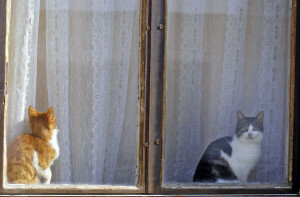 Once receiving a notice from you, the resident’s three options would be to get rid of the pet immediately (perhaps a friend or family member could take the pet), try and negotiate an additional pet deposit or cleaning to cover any concerns of damage, or receive temporary permission to keep the pet if they put in notice to move within an agreed upon amount of time. If they choose to do none of the above, you can file an unlawful detainer for breach of lease. Be careful with this type of eviction though. It is much less straight forward than non-payment of rent. This is more of a he said/she said situation so documentation is key. Photos, conversation logs, letters to rectify the situation, and a copy of the perform or quit will be vital in your case. If the home was within habitable conditions when the resident moved in, but is no longer in suitable condition due to their actions, you can evict them. 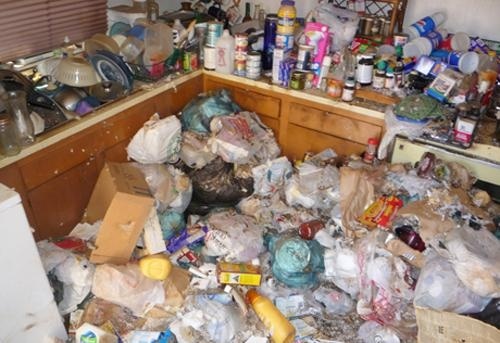 Whether the health hazard is due to drug use in the home, hazardous materials, hoarding, insect infestation, or other damage it is all counted the same. The resident could try to slow down the eviction process and prolong tenancy by making repairs to bring the home back up to code, but it will not guarantee that they will get to stay. Please note that you are legally responsible for providing habitable conditions in the housing that you provide. These regulations vary by state and sometimes city, so it is best to check on your local statutes for guidance on what must be provided. (Ex. Heat, hot water, access to common areas, compliance with building codes, etc). If the home is inhabitable due to poor management, the resident may have a case against you. Make sure that all repairs requested have been completed in a timely manner and that you have attempted to rectify any habitability conditions prior to evicting for this purpose. If you have to file an unlawful detainer notice, do not try and do it yourself. Many cities, counties, and states have specific regulations and guidelines that must be strictly followed in order for you to have a solid case. One fowl up can cost you time and money so it is best to ensure that the process is done correctly the first time. An attorney will help you to prepare the unlawful detainer and ensure that your notices and documentation were served correctly. The court system can be confusing and if the proper forms are not filled out in a timely manner, you may end up unable to secure judgment and move forward with your rental property. Sometimes the best thing for your resident to do is move out immediately. If for some reason they are unable to move right away, they may come to you to create an exit strategy that works for both parties. Make sure that you put this agreement in writing and that both parties sign. In these instances, communication is key. If they are honest and proactive it may be in your best interest to negotiate with them rather than proceed with eviction. These will all be valuable tools if you have to go to court, plus it is just good practice for any landlord. 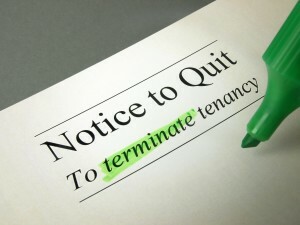 One advantage to hiring a professional property manager is not having to deal with the hassle of the eviction process. The property managers with the Real Property Management franchise system understand the local and state laws dealing with eviction, not to mention the fair housing laws and other best practices for finding good, qualified tenants so you, the property owner, hopefully never have to deal with an eviction.